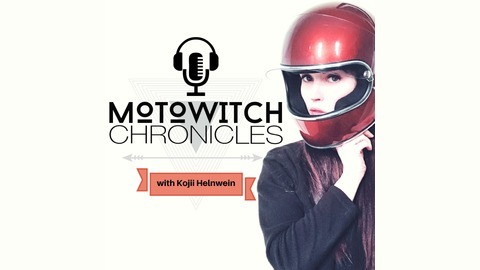 Motowitch Chronicles is the motorcycle podcast that brings you stories of badass female bikers from around the world. Your host, Kojii Helnwein chats to women about the obstacles they’ve overcome, the adventures they’ve embarked upon, the world records they’ve set or the awareness they’ve raised for various charities they hold close to their hearts and why. Subscribe to hear these accounts of worldwide female bikers, from all walks of life and prepare to be inspired to live your life to the fullest. Jacqui Furneaux is a woman who has learned to go with the flow and follow her heart while travelling the world on her motorcycle. Having found adventure on two wheels later in life she took to it like it was all she had ever known. Listen in as Jacqui chats with Kojii about life on the road, how she ended up there, her Royal Enfield, love and her wonderful book “Hit the road Jac”. 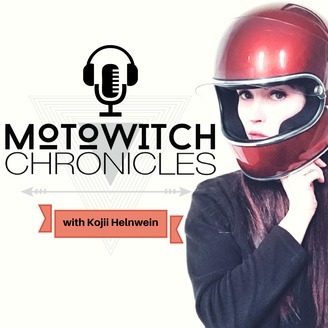 This episode of Motowitch Chronicles is brought to you by MOTOWITCH COLLECTIVE. At www.motowitch.com we host MOTOWITCH MAG, a collection of articles, road logs, tips and more written by worldwide female motorcyclists, be they seasoned, brand new, world record holders, driving instructors and so on. Subscribe at www.motowitch.com or on your favourite podcast app to be sure you don't miss our future episodes. If you're a female biker with a story you'd like to share on either MOTOWITCH MAG or MOTOWITCH CHRONICLES please email hello@motowitch.com.